Our capability to conduct near turnkey solutions stems from our expertise in all activities involved in preparing the base for installation of a tank or silo at a green-field site and integrating the associated ancillary equipment to make it functional. Starting from ground and concrete works at a green-field site to installing drainage pipework, ducts and electricity trenches, water pipe trenches and other equipment, Reliant Installations provides service that match the highest industry standards. Ensure your tank is in optimal working condition and that it is providing you the best performance level and value by engaging Reliant Installations. We offer periodical maintenance packages where our expert engineering team will conduct regular inspections of your tank at pre-agreed intervals while the tank is empty thereby preventing minimal disruption or downtime to essential operations. Regular inspection of tanks will facilitate early detection of any possible damage, to conduct timely maintenance and repair thereby arresting further deterioration of tank condition and eliminating costly emergency situations that may occur if left unattended. True to its established credentials as a professional tank solutions company, Reliant Installations undertakes all kinds of onsite tank refurbishment and repair work including tank repointing and sheet replacement. 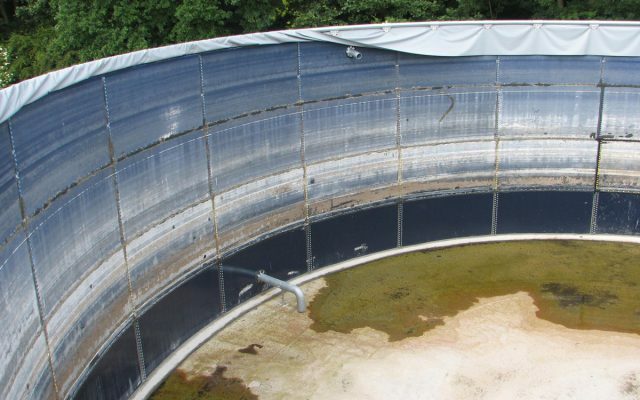 Following an onsite inspection of your tank, we can assess the amount of wear and tear or damage and recommend the appropriate level of refurbishment work required to restore the tank to obtain maximum performance benefits and value. As one of the specialist service providers in tank maintenance and performance improvement operations, Reliant Installations offers all kinds of tank insulation and cladding services. 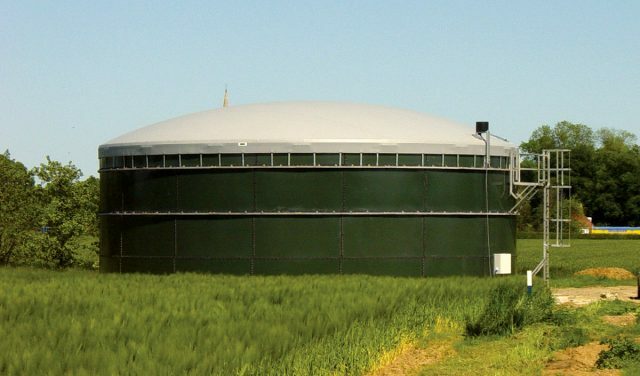 We have diversified experience in conducting insulation and cladding activities for tanks of varied sizes and applications, especially in the biogas industry. We specialise in Rockwool type insulation and employ Plastisol coated mild steel sheeting to clad the tank and protect the insulation from the elements. The profile sheeting can be offered in a large variety of standard colours to match the existing buildings in the area and can be retrofitted to any tank. If you need to remove, relocate or dispose of an existing tank, then you can rely on Reliant Installations to conduct the necessary operation in a safe and efficient manner. One of the biggest advantages of a Permastore® tank over other structures is that it can be dismantled and re-erected provided you possess the required expertise and equipment to do so. Our experience in installing tanks and silos extends to dismantling existing tanks and roof structures, transporting and re-erecting them at an alternative location. During our 40-years of operation, we have successfully dismantled and re-erected tanks of varying sizes, most of which are still in service today and some of which were relocated more than once, establishing our proficiency in conducting dismantle and re-installation operations with professional care and efficiency. We have also conducted operations that involve dismantling and decommissioning tanks and stacking them on pallets, ready for sale or stored for future use. Meeting the highest safety standards and adherence to regulations is our top priority when we supply and install fire tank and pump house bases. We have successfully met the safety requirements of many fire protection companies in the UK for over 25 years. Our activities extend to casting concrete plinths to site the pumps and pipe supports in order to provide a solid base to fulfil established fire preventive measures. We offer a comprehensive approach to installing fire tank and pump house bases, and can build customised installations if required according to customer designs and specifications. Successfully fulfilling its role as a comprehensive solutions provider for tanks and silos, Reliant Installations possesses the necessary engineering expertise and know-how to install various types of ancillary equipment for tanks. We have installed equipment to cater to various industrial applications including effluent treatment plants in the UK. Our equipment installation procedures meet the highest safety and performance standards. The fact that many of these equipment installation projects were carried out within steel portal frame buildings that were manufactured by our in-house workshop ensures multiple customer benefits in terms of on time and within budget delivery and completion of the project.